Our bakers are qualified to give you the finest fresh bakery goods, decorated cakes for all occasions, and a wide variety of bread and pastries. 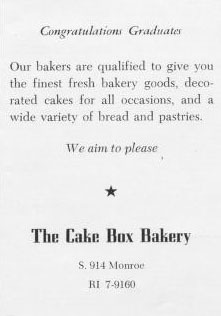 We aim to please. RI 7-9160.